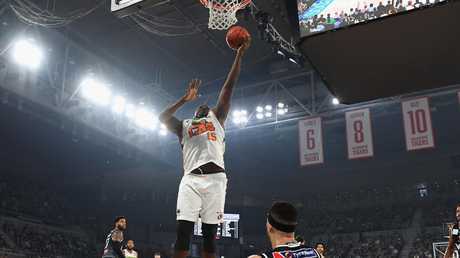 RESURGENT centre Nate Jawai has missed selection for the Australian Boomers team for the fifth window of FIBA World Cup qualifiers later this month. 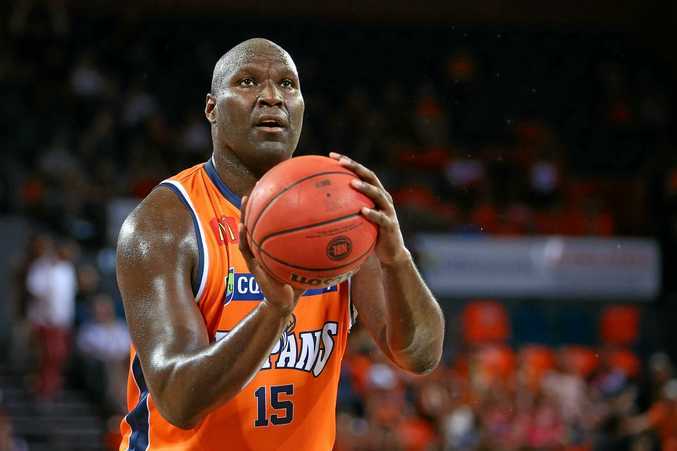 The former NBA big man will have to consider himself unlucky not be pulling on the green and gold again after posting 17 points and 10 rebounds on Sunday in the Taipans' loss to Melbourne, as well as an encouraging start to the season. Boomers coach Andrej Lemanis, who also coaches Brisbane in the NBL, opted to go with currently injured Perth Wildcat Angus Brandt and Matthew Hodgson, from the Brisbane Bullets, as his five men, instead of Jawai. Former Snakes Cameron Gliddon, Mitch McCarron and Nathan Sobey were all named in Lemanis' squad. Gliddon returns to the Boomers after being involved in all six of their games through the first round of qualifiers and currently sits third in the NBL for scoring with 19.4 points per game. Meanwhile, Taipans skipper Alex Loughton was sporting a moon boot on Tuesday at training and is still a chance to tackle Perth on Saturday night. "Al turned his ankle against New Zealand and we are just waiting for the final reports," Snakes coach Mike Kelly said. "It is positive so far but we will see." Mitch McCarron, Craig Moller, Mitch Norton, Nathan Sobey.